NEW YORK (CNN Business) - Sears stock plunged on Thursday after reports that the retailer isn't paying companies for their products. Three companies that sell items at Sears told Reuters that Sears had missed payments to them over the past few weeks. Sears stock fell another 18% Thursday. Sears did not respond to multiple requests for comment. A bankruptcy could come very soon. Sears Holdings, the parent company of Sears and Kmart, faces a Monday deadline to pay $134 million in debt. The most recent filing from Sears showed it had only $193 million of cash on hand as of August 4, the end of its last fiscal quarter. It also has $269 million available to it from lenders, according to figures it released on September 13. 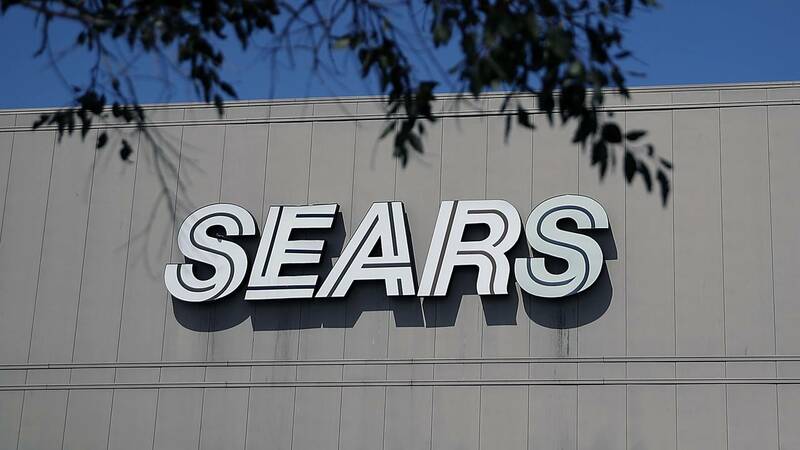 Having so little cash available would make it very difficult for Sears to pay back $134 million in debt due on Monday, said Robert Schulz, chief credit analyst for the retail industry for Standard & Poor's. A company the size of Sears needs to have cash available to pay major vendors and stock up its inventory for the holiday season. It also uses cash to pay employees and other costs. Basic administrative expenses, including payroll, came to about $300 million a month for Sears. CEO and primary shareholder Eddie Lampert told the company's board that it was crucial it restructure more than $5 billion it owes "without delay," according to a recent regulatory filing. Lampert has bailed out the company by loaning it cash in return for debt backed by hard assets, such as real estate. But he has decided not to extend another lifeline to the company to make Monday's payment, the Wall Street Journal reported Tuesday. That would greatly narrow Sears' options to make a payment. "Things seem to be coming to a head with a hard stop payment due on Monday," Schulz said. Companies that file for bankruptcy typically negotiate a special kind of loan to fund operations while it is in bankruptcy. There are numerous reports that Sears is in talks for that kind of financing. But negotiations don't appear to be going well. The company's lenders are encouraging Sears to shut down and liquidate, according to the Wall Street Journal. Sears' management has reportedly said it hopes to use Chapter 11 of the bankruptcy law to stay in business rather than Chapter 7, which leads to closing. If Sears (SHLD) does file using Chapter 11, it could try to stay in business, using the court process to shed debt and unaffordable leases. It could attempt to emerge as a profitable company.